I’m delighted to join 3:AM Magazine as fiction editor. 3:AM was the first place to publish a piece of my writing. At the time I was working from a visual art background and it was – appropriately – a cutup. The magazine is a special place not only for new writers, but for more established authors looking to experiment in ways they might not be able to elsewhere. It’s difficult to define submission guidelines when one of the things I’ll be looking for is something I’ve never seen. There are sensibilities I know I’ll recognise, as soon as I read them. I’m interested in work that is experimental, playful, serious; in work that pays close attention to form, and language, always in support of what the work is; in intelligent work that wears its learning lightly: to paraphrase Beckett on Joyce, writing that is not [only] about something; it is that something itself. * Most pieces I publish will be under 2,500 words. Your work could be a standalone piece, or an extract from a larger work. It may be a lot shorter than 2,500 words. It might not look like ‘fiction’ at all. * All submissions must be in English and previously unpublished online. * I’m very interested in writing in translation, if you’re happy to sort out the rights and permissions. Translations should be accompanied by a copy of the original text. If you submit a translation, or a piece previously published in print (see the point immediately above), you must be able to secure a statement of permission from the original publisher, and/or writer. * I’ll try to give you a yes or no within a month of your submission. * I’m happy with simultaneous submissions, but please email me immediately if you decide to publish your piece elsewhere. * Please put your name and the work’s title in your filename, as well as at the head of your piece. * Please send me a very brief bio/cv. I’m as likely to publish unpublished as published writers, but, if you have published before, I’m interested in what, and where. 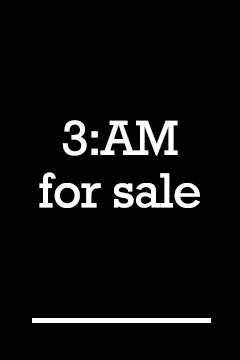 * Fiction submissions will close at 3am on 3rd September 2014. They will reopen again early in 2015. First posted: Wednesday, August 13th, 2014.